The Head of the party noted that Putin disclaims responsibility for resolving this issue. The RF President Vladimir Putin denied the Russian Yabloko party pardon of the Ukrainian filmmaker Oleg Sentsov, illegally convicted in Russia. Putin’s response was conveyed by the Presidential Directorate for ensuring the constitutional rights of citizens, the party’s press service reported. “The right of pardon is the exclusive prerogative of the president; the Russian Constitution does not limit the president in this right. We urge not to be afraid to take this step, the most important of humanitarian, legal and political points of view,” the party’s appeal says. 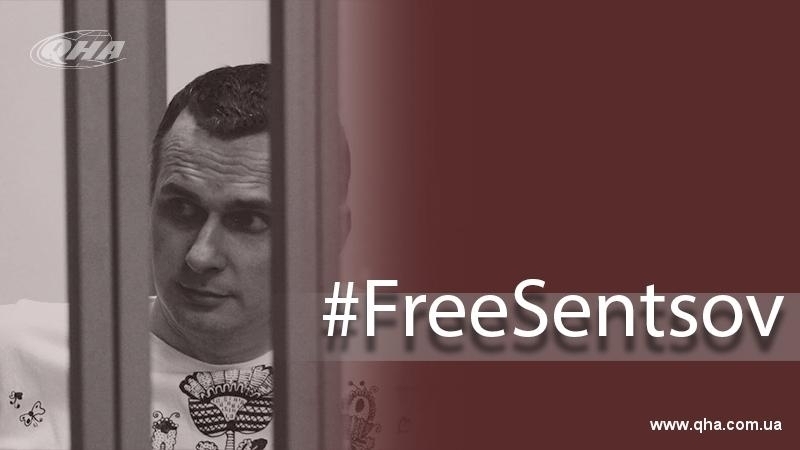 The response states that the Russian president will not consider the issue of pardoning Oleg Sentsov, if he doesn’t apply personally, or if there is no petition from the governor of the Yamalo-Nenets Autonomous District. The Head of the party, Emilia Slabunova, noted that the Russian president disclaims responsibility for solving such an important political and humanitarian issue. Earlier, the Russian authorities rejected the appeal of Oleg Sentsov's mother to pardon her son. The Department for Pardons at the Office of the President of the Russian Federation for Ensuring Constitutional Rights informed Lyudmila Sentsova that in order to start the pardon procedure, the Ukrainian director should personally appeal the Russian President in writing.